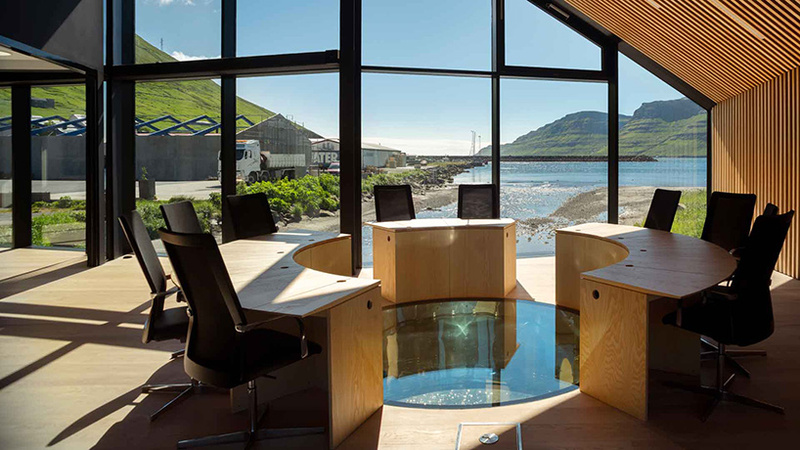 The town hall of Eysturkommuna spans a river connecting two previously separate buildings in the Faroe Islands pays homage to modern architectural design and signifies the unification of a community through municipalities. 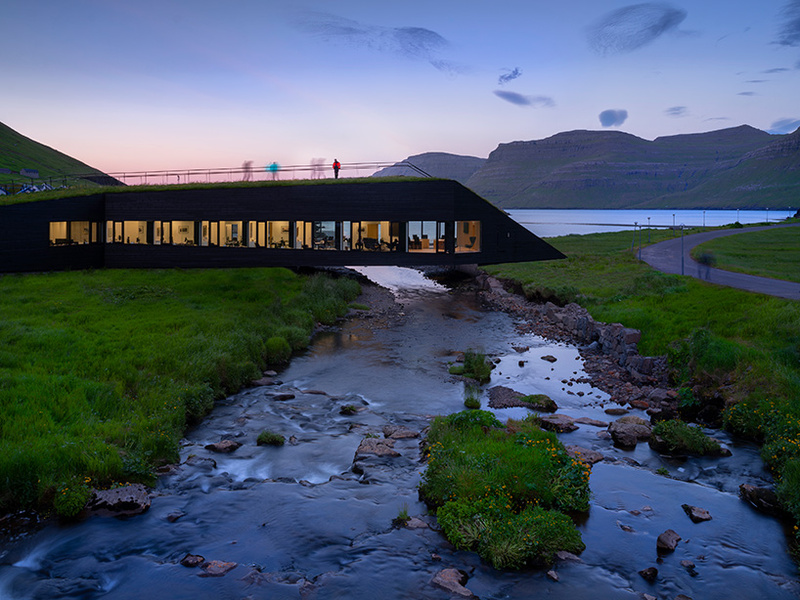 The Faroe Islands are a cluster of land masses about halfway between Iceland and Norway. 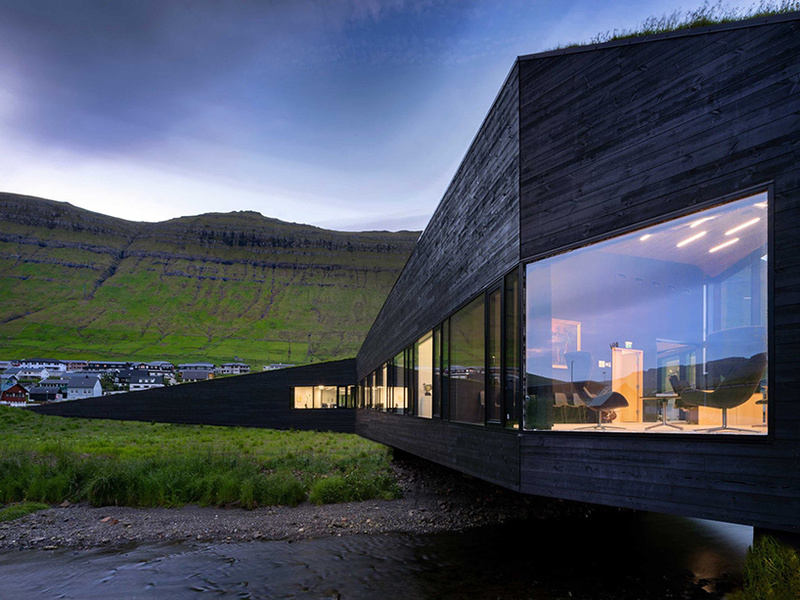 Designed by Henning Larsen Architects, the flat, green-roofed building measures 750 square meters and like most mid-century modern architecture is built to emerge with nature. 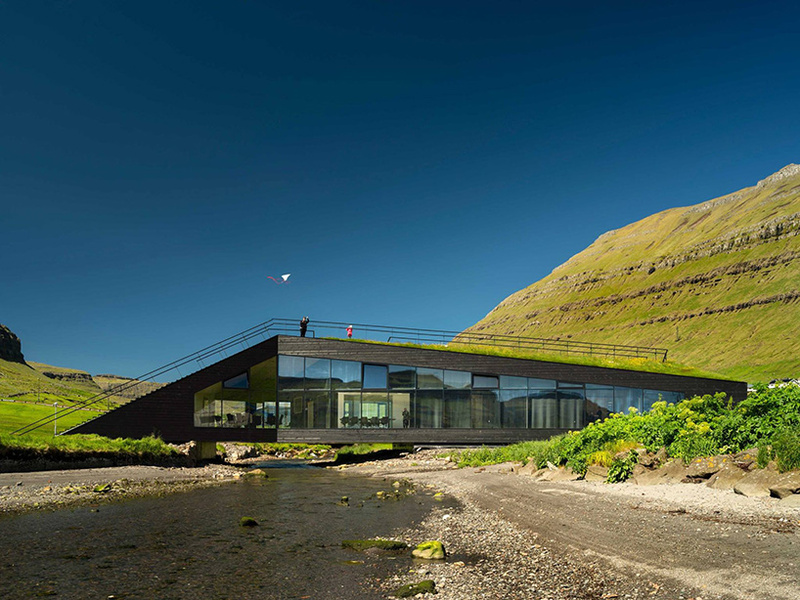 The town hall is a thoughtful attempt to reclaim the local beach, a gathering point for their community, as activities decreased once a large factory was built nearby. 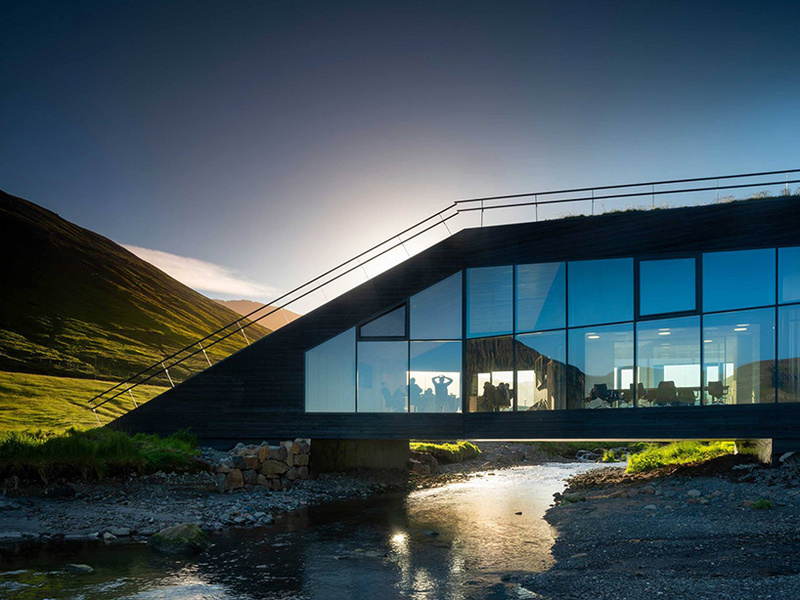 Meanwhile, an exterior installation by artist Jens Ladekarl Thomsen draws from the region’s natural sights and sounds.